Turinover Vermodje contained the compound 4-Chlorodehydromethyltestosterone - an anabolic steroid known as Turinabol. It is very effective steroid that build quality muscle mass and increase strength without side effects that associated with estrogen. Turinover is not only used by bodybuilders. 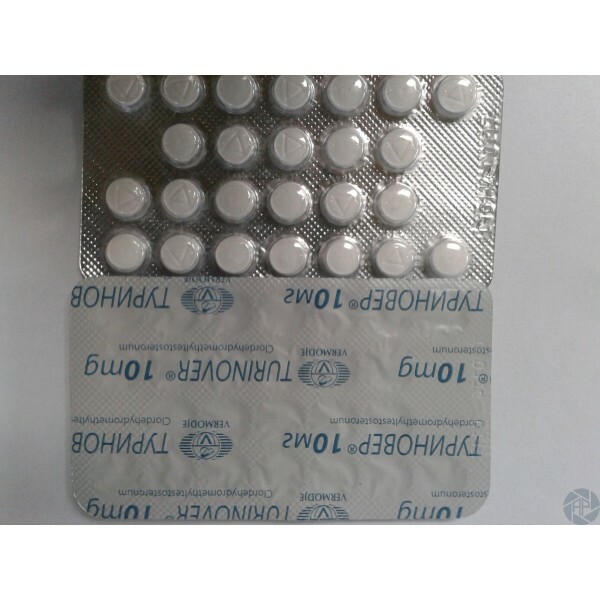 This drug is preferred in many sports disciplines such as athletics, wrestling, box and others. Turinabol is determined by the fitness practitioners as something between Anavar and Dianabol. This is because, using it they get mostly lean muscle mass and strength, without side effects such as bloating from water retention. It is not flavored as Methandienone, but therefore you can not expect large growth rate table. That's why it is preferred in sports where it is important to enhance athletic performance, such as the size is not a main goal. Turinover Vermodje is a derivative of methandienone, but it altered chemical structure leads to large differences in the characteristics and effects. Both steroids are 17-alpha alkylated by the addition of carbon atom of 17-position in order to be able to "survive" the first passage through the liver. This, of course, increases the toxicity to the liver (hepatoxicity). But it has much lower androgenic activity than its sibling. According to the tables in "Androgens and Anabolic Agents: Chemistry and Pharmacology" Julius A. Vida, Turinabol has androgenic rating of 0 vs 53 for its anabolic properties. This provides more hardness, density and definition so sought after by competing bodybuilders. 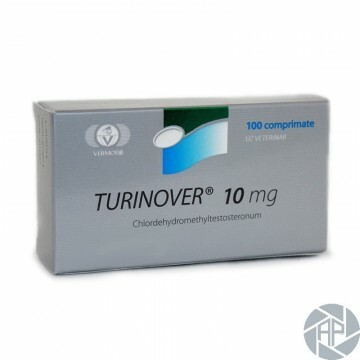 Side effects of taking Turinover Vermodje are rare. But in rare cases it is possible adverse reactions as with other steroids that may include: oily skin and acne. Because it is 17-Alkyd preparation, high doses may increase liver enzymes. Unlike other anabolics the compound has no a strong suppression of testosterone, even if used separately, then cycle Turinabl often the own testosterone is higher than previously accepted. The optimal dosage is 40-60mg daily as at high doses it becomes toxic to the liver.